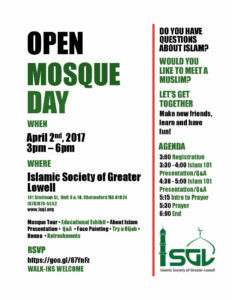 Please join our friends at the Islamic Society of Greater Lowell as they, along with other mosques across the state, host an Open Mosque Day on April 2. 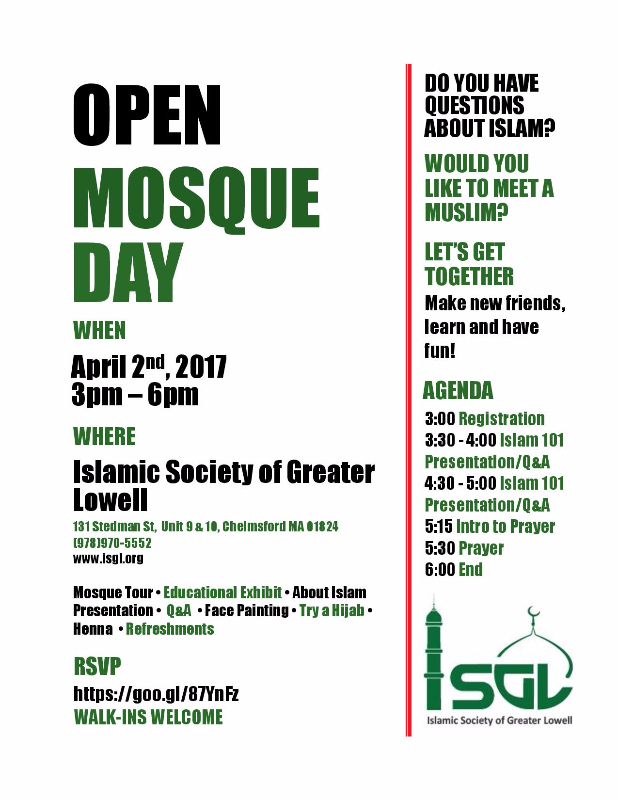 Time and Date: April 2, 2017, 3 to 6 p.m.
On Sunday April 2nd, ISGL will be one of 16 mosques across Massachusetts to open their doors up to the community and share the message of Islam and promote dialogue. The event hosted at ISGL will run from 3 – 6 PM and will feature various booths on Islam, an About Islam workshop, a try a hijab booth and various activities for the kids. Community members are encouraged to spread the word to their friends, neighbors and colleagues and attend themselves as well. If there are any questions regarding this event, please email info@isgl.org.